It may not be about to win any beauty contests in the area but it has a very good reputation to it - this material. Why? Because it works, to put it very simply. This is the no nonsense option, the one you can ask for when you don’t want to spend a fortune but you are very aware of the need to have a fence. When you come to us for a chain link fencing job, we will use only the best materials and you will amaze by the strength of what we can offer. Soon enough you will be recommending us to friends and family and they will be coming to get their chain link fencing as well! We keep animals in and around our houses for a variety of reasons. Some of them may as well be members of the family. These cats and dogs, or other less conventional pets, are often very close to us and it would be devastating if they were to run off. That is the thing about animals - they love us as well but they don’t always have the wherewithal to make sure that they don’t wander off to far. A chain link fence is the perfect solution to this - they are a cheap way of keeping your pets from danger once and for all. Animals can get under or around bushes, but not a chain link fence. Other animals, though, the ones we don’t love so much, are not as likely to want to play by the rules. We refer to these wild animals as pests because they are not invited guests in our homes like our dogs and cats are. They are the rogue animals, the outlaws that roam the land looking for warmth and food. As such, it is a good idea to make sure that you keep them out if you can. Otherwise you won’t be able to control the havoc they wreak. However, with a chain link fence, the job is already done for you. We are happy to discuss this idea further and to work with you on bespoke versions should it be necessary. 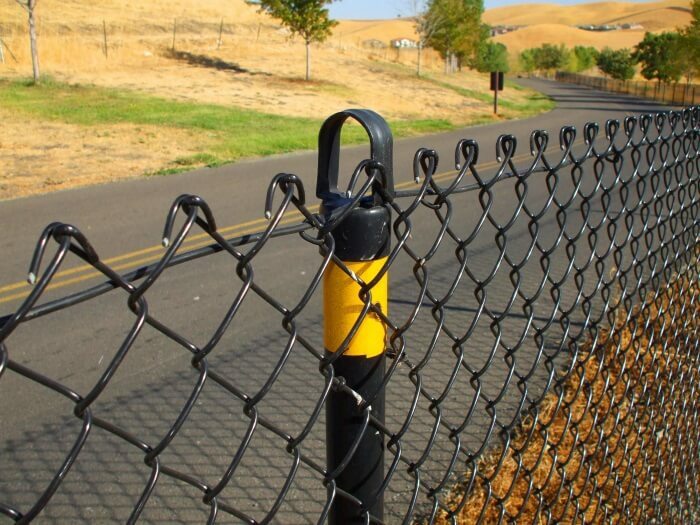 However, it is not just limited to animal concerns when it comes to chain link fencing. These fences are a lightweight and sturdy option no matter what you might need them for. They aren’t the prettiest but they are very good fences. Therefore, whether it is for legal reasons, safety or security, a deterrent of any kind or whatever else… we are happy to offer these to you. You will not disappoint by their quality. We are always ready to receive your call and we would be very happy to hear from you. You can find our contact number on this website with ease. We will be there on the other end of the line to make sure you get the service that you need! There is nothing better than our fences!